Watkinsville, GA. - Georgia&apos;s Antebellum Trail is celebrating its 30th anniversary this year with a new way to explore one of the most iconic trails in the state of Georgia. Over the past three decades, visitors from around the country and around the world have traveled to the seven historic communities that escaped Sherman&apos;s burning march through Georgia. Georgia&apos;s Antebellum Trail is an easy drive just an hour east of Atlanta. The towns that comprise Georgia&apos;s Antebellum Trail recently worked together to create a new way to explore the trail with a 170-mile bicycle route that winds through a collection of Georgia&apos;s most beautiful antebellum towns. 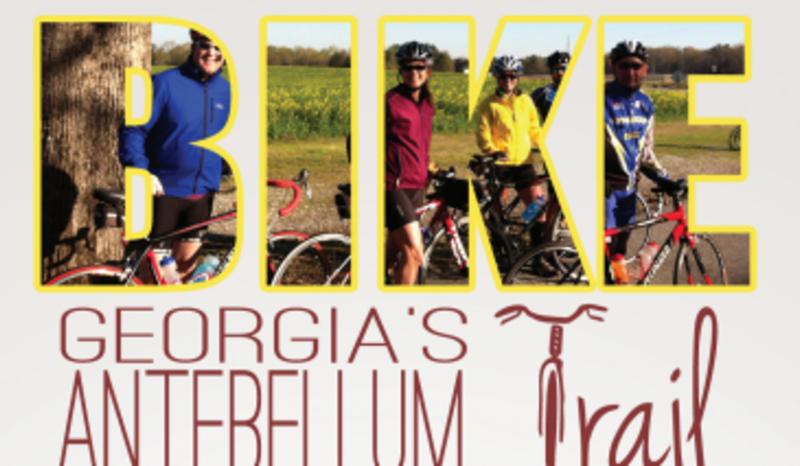 The route has been designed by professional cycling planners at Georgia Bicycle Adventures to include the lowest traffic roadway options in the region and allows cyclists to explore the history and scenic landscapes of the state while still being active. Interactive cue sheets are available online at www.BikeAntebellum.com. Visitors can experience an abundance of unique history in each town along the way, much of it tied to the American Civil War and the country&apos;s Native American heritage. The cities of Athens and Macon - the largest stops along the route - provide visitors with a wide variety of options for dining, shopping, nightlife and hospitality. The town centers of Madison, Milledgeville and Watkinsville each feature home-grown shopping and dining experiences with a cool, artistic flair while Eatonton and Gray offer an opportunity to experience "Small Town USA." Whether it&apos;s traveling on two wheels or four, visitors can take time to visit each community&apos;s Welcome Center, town square, shops, restaurants and quaint settings and get a big helping of the simpler pleasures in life. 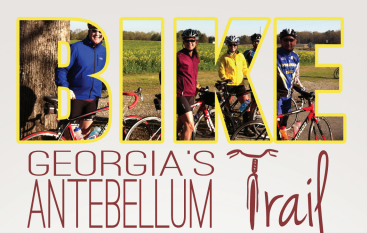 Planning a visit to Georgia&apos;s Antebellum Trail is easy, with complete travel information at www.AntebellumTrail.org and www.BikeAntebellum.com. The Antebellum Trail began as a University of Georgia project in March 1984. The Athens Chamber of Commerce called the historic communities of Athens, Watkinsville, Eatonton, Milledgeville, Old Clinton and Macon together to promote and network their history. The state of Georgia recognized Georgia&apos;s Antebellum Trail as a state designated trail in 1985. Over the past 30 years, Georgia&apos;s first tourism trail has remained its most popular, with visitors coming from around the world to experience Antebellum Georgia.